In addition to its recognition as highly visited land for trekking and mountaineering, the idea of rafting in Nepal has also held its popularity in substantial manner. As being the mountainous country with numerous evergreen rivers flowing from Himalayas to the south extends an awesome opportunity to enjoy on the white and forceful water. Rafting in Nepal on the slanted and uneven structure of the river heightens your level of adventures. The water come out from the snow and glaciers of the Himalayas chills and charges you while exhilarating the rafting adventure. Nepal bears an incredible standard of having the numerous rivers with high-force flow of the water. Because of its geographical structure, the current of the water has higher speed which is conducive to the adventure of rafting in Nepal. Even though floating on the jade and freshening water, you will feel as if you are immersing in the fizzy and tide-like cold water of the river. Making the moment magical and rewarding, the natural and greenery scenic view of the jungle and the hills will definitely add up the hue in the rafting rapture. In Nepal, Trishuli River, Kali-Gandaki River, Marshyandi River, Tamur River, Bhotekoshi River, Karnali River, Seti River are renowned as the rafting destination. All rivers are common in the origin being the Himalayas yet unique and different as they run through different geographical location and places in the country. In spite of being the same adventure of rafting, the aroma and alacrity it offers has carried distinction and differentiation. Late September to December is optimum time for the rafting in Nepal. Besides, early March to early June it is considered safe for the rafting in Nepal. 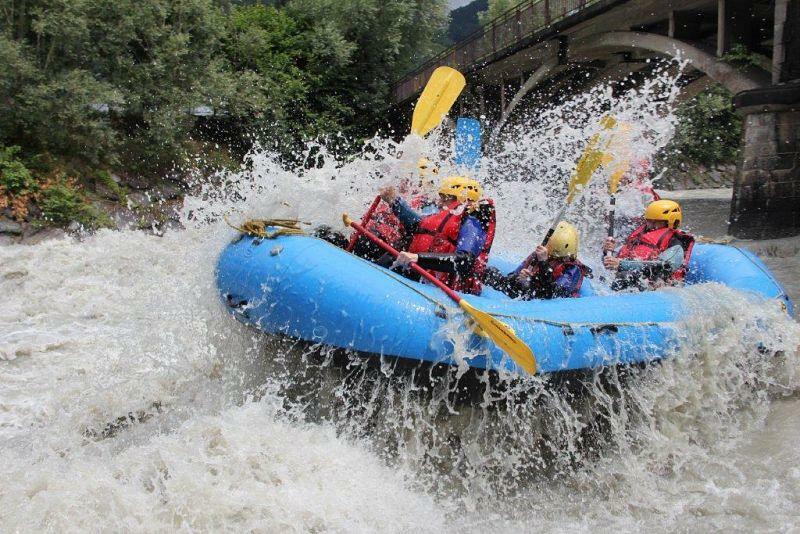 During the rainy season in July and August, it is found to be risky and challenging to roll over the river which asks for very experienced rafter and guide along with the determination to cope up with the swirling and whirling water.